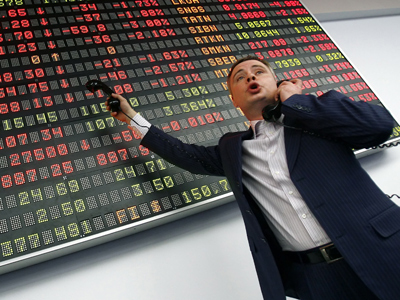 Russian stocks are likely to open slightly higher Monday as investors digest the positive news of the previous week. ­Russian markets closed in the black Friday on news of better-than-expected data on the US economy. The MICEX gained 1.7% and the RTS grew 3.25%. U.S. stocks surged Friday after the July jobs data beat investors’ expectations, improving a report on US service activity. Non-farm payrolls rose by 163,000 in July, topping analysts’ expectations of a 100,000 increase, according to the Labor Department. The ISM non-manufacturing index climbed to 52.6% in July from 52.1% in June. 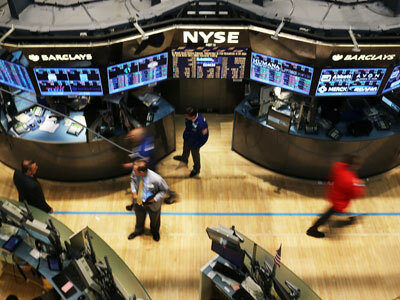 The Dow Jones rose 1.7%, the S&P 500 was up 1.9% and the Nasdaq added 2%. European stock markets also rose on Friday as investors awaited the US jobs data set to be released later in the day. The Stoxx Europe 600 rose 2.4%, the highest increase since early April. Spain’s IBEX 35 jumped 6% amid speculation that the country would soon make a formal request for aid. The German DAX 30 surged 3.9% amid stronger earnings report from Siemens, and banking shares pushed the French CAC 40 up by 4.4%.